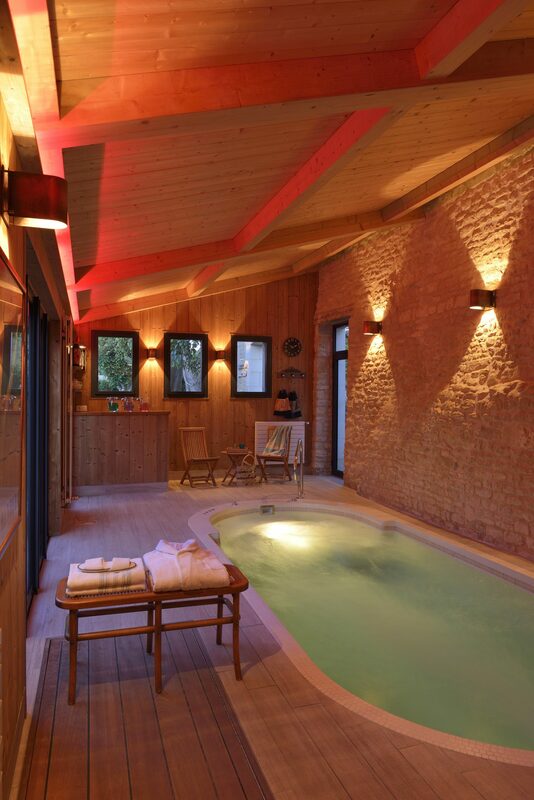 Right in the centre of the Île de Ré, unwind in your own personal spa at the four-star Baronnie Hôtel & Spa in Saint-Martin de Ré. We are giving you that most rare opportunity to recharge your batteries in our dedicated wellbeing spa, surrounded by greenery and opening onto a garden. 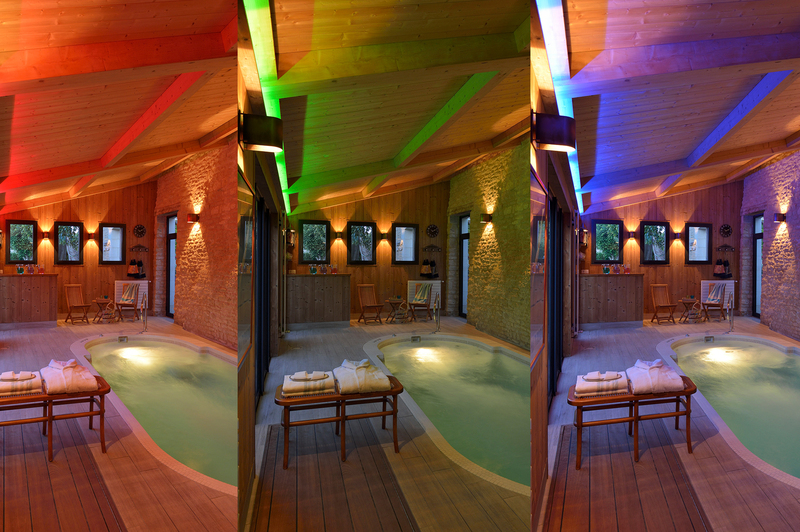 Our spa comes complete with a counter current pool, a jacuzzi with balneotherapy jets, and a sauna. Because we are committed to giving you a truly private experience, the Spa is available by reservation (a maximum of 2 people). Children aged under 16 are not permitted in the spa. 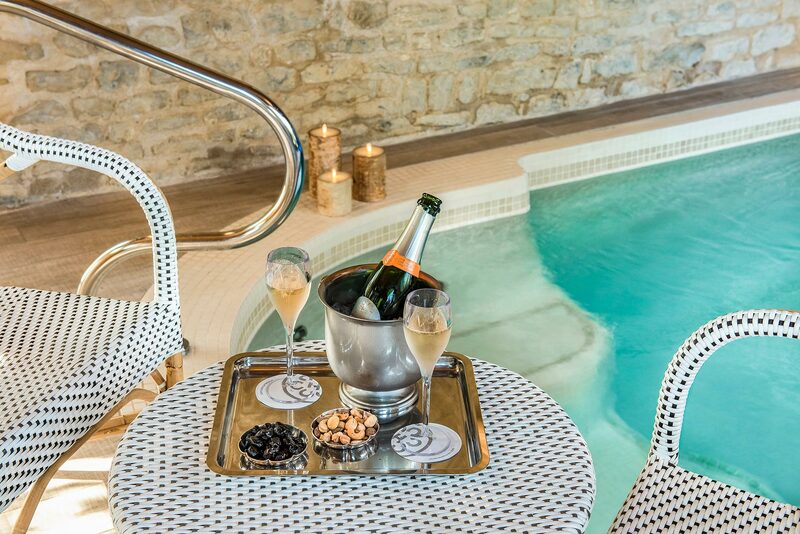 To benefit from the full private experience, there is a fee of 55 minutes in the Spa, which includes 2 glasses of champagne and as many hot and cold drinks as you like. The beauty treatment room is just next door, offering face & body treatments and massages by a trained beauty therapist, using products from the prestigious Cinq Mondes range. We also have an osteopath on hand by appointment. Our wellbeing facilities are also available to non-guests, by appointment only. Our massages are beauty, wellbeing and relaxation treatments only, and are not designed for medical purposes. 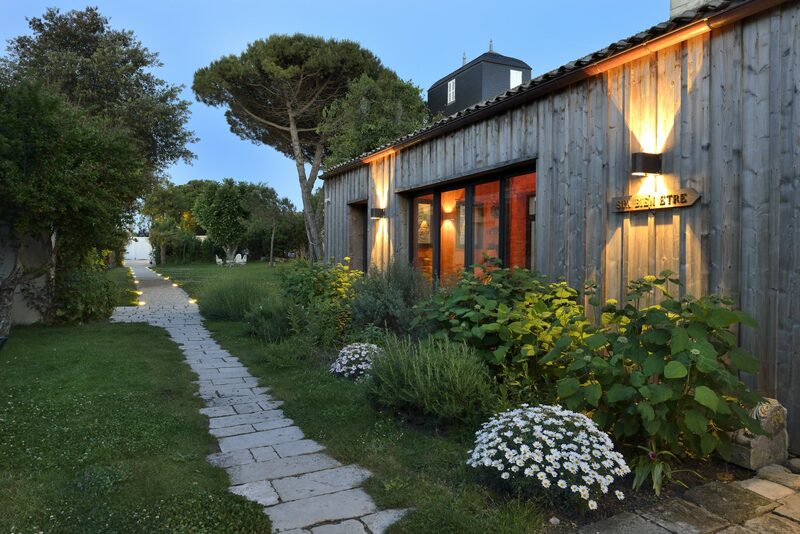 Our treatments are exclusive to the Île de Ré! Our qualified beauty therapist, trained at the Cinq Mondes institute, offers a wide range of treatments and massages from this truly original brand, in house at the Baronnie Hôtel & Spa. To continue reaping the rewards of the Cinq Mondes treatments you’ve sampled at our Spa, or to find your favourite products, head to the Baronnie Hôtel & Spa reception desk, where all of the essential Cinq Mondes products are available for sale.